Fishing has been slow, the water level is coming down. The weeds are still plentiful. Fly anglers have been site fishing on the south end of the lake and doing well in the evenings. 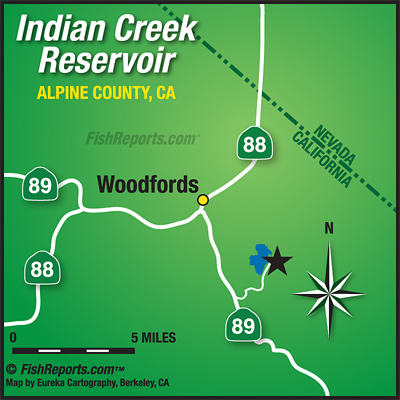 Shore anglers have picked up some rainbows and cutthroat trout in the early morning or late evening by the dam. So far this year the lake has been planted with over 4000 lbs of rainbow and cutthroat trout. For more information stop by Todd's Bait and Tackle.